TE SubCom, a TE Connectivity Ltd. company and an industry pioneer in undersea communications technology, together with a consortium of six prominent telecom and content service providers, has announced that the supply contract for the JUPITER Cable system has come into force. Scheduled to be ready for service by early 2020, the JUPITER Cable system will connect the following locations: Maruyama, Japan; Shima, Japan; Los Angeles, California, USA; and Daet, Camarines Norte, Philippines. The new transpacific route will provide greater diversity of connections and enhanced reliability for customers, as well as optimal connectivity to data centers on the West Coast of the United States. 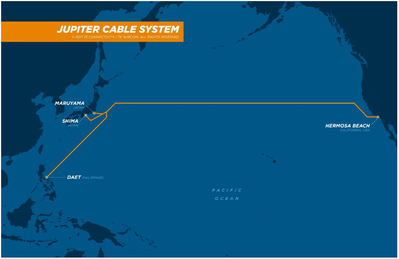 •Partners in the JUPITER Cable project include PLDT, NTT Communications, PCCW Global, SoftBank, Facebook and Amazon. • JUPITER Cable is approximately 14,000 km in length and has a design capacity of more than 60 Tbps. • TE SubCom has configured JUPITER as a trunk and branch system with the most advanced submersible reconfigurable optical add/drop multiplexing (ROADM) technology available. ROADM functionality is implemented with wavelength selective switch (WSS) technology providing ROADM nodes with gridless, flexible and in-service bandwidth reconfiguration capability on a per wavelength basis. Remote reconfiguration is enabled by robust optical command/response channels. 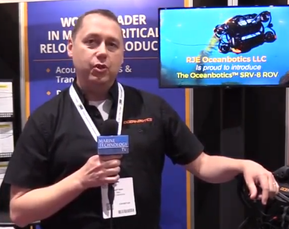 Effective recovery from cable cuts is available when needed, through flexible bandwidth reallocation. ROADM nodes are further equipped with a telemetry channel that allows access to undersea spectral performance information.